Hot Mama is thirteen chapters in length that you can almost get through in one sitting. 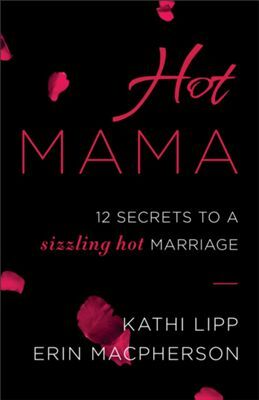 Kathy Lipp and Erin Macpherson make you feel like are you sitting with your friends and getting some honest and practical advice to feel like a “Hot Mama” again. They offer online tools, and a free study guide should you feel like you want to discuss this book in a Bible study or small group. (I would caution here that some chapters in this book may lead to oversharing…tread carefully). They also include a Q&A from “sexperts” that might answer lingering questions you have had, but were afraid to ask. Their experts include an OBGYN, a marriage and family therapist, a marriage counselor, and two pastors. I would recommend this book to any woman who feels like they are struggling in this area and really would like some honest advice from a trusted source. The good news is, you can purchase this book as an ebook and avoid any embarrassment at the checkout! I was given a complimentary copy in exchange for an honest review. All opinions are my own and I have not been compensated in any way.